This book was really good.It was about these girls that were best friend and they spent the summer in the golf course behind there house.I think anyone who loves a good mystery with some action should read this book! Lots of grown-ups probably think that summer vacation is just a time of rest and relaxation and you’re not learning anything unless you’re in summer school or a program or camp. But like they often are about many things, grown-ups are wrong about that. Summer is a time when TONS of stuff can happen because you’re not stuck at school for so many hours every day — and for Annie in Umbrella Summer by Lisa Graff, it’s definitely a time of discovery and growth. If you’re wondering why that is and what happens, here are two reviews for Umbrella Summer that were submitted by kids to Kidsmomo — they’re what inspired me to read the book myself! The book Umbrella Summer is a fiction book by Lisa Graff. This fiction book is about a girl named Annie and her Summer adventures. She frets about getting diseases, searches the “haunted house” on her street, and misses her passed brother. Will Annie get over her fear of sickness? What will she find in the “haunted house”? You’ll have to read and find out. My favorite part of the story is when Annie goes to her best friend Rebecca’s house and has a funny conversation with her dad who is a doctor. I would recommend this book to people who like books that they can relate to or people who like really good fiction books. 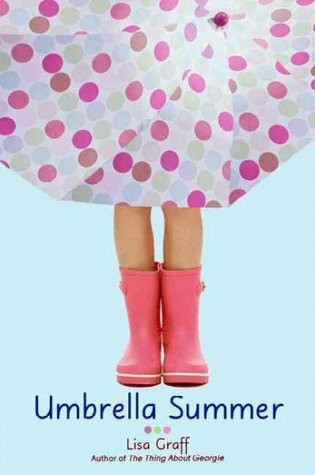 Lisa Graffs book is a fictional,fun,heart-warming story of a girl named Annie who recently discovers that her brother dies of a rare disease and suddenly worries if she or her family memebers will catch the uncontagiouse disease that her brother died of. Annie also learns that her new neighbor has a creepy house that Annie is anxious to find more information about it. Will Annie ever find out the secrets of her haunted house neighbors? I would recomend this book to people who like a heart-warming fictional story. I absolutely agree with these reviews and recommend that you check out Umbrella Summer yourself! Or if you’ve already read the book, leave a comment or send in your own review. Or tell me if you’ve read Mockingbird by Kathryn Erskine; I haven’t read that one yet, but it sounds like it deals with some similar themes. Is it worth picking up? Karen used to spend every summer in some program or another, some of which she did not enjoy. Now she works year-round, which is even worse!